Sevilla online ES · La alpujarra, Granada - Andalusia, Spain. The Alpujarra (or Alpujarras) is a large mountain area some thirty miles south from Granada city and only 25 miles from the coast. It is part of the province of Granada and of the province of Almeria. 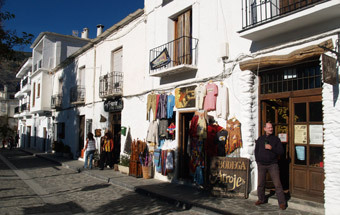 The history of Alpujarra is important because it was the last refuge of the Arabs in Andalucia . It was here that Boabdil, the last Moorish king, lived for some months after the Christians captured the city of Granada. And, it was to the Alpujarra that the Moors, who refused to convert to Christianity, fled and found refuge during almost a century before they were finally expelled. 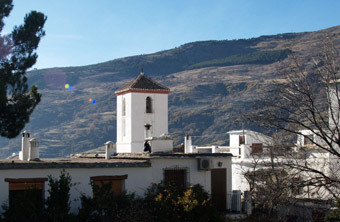 The Alpujarra also still have many features of Berber culture, particularly in everyday houses and in their unique irrigation aqueducts that farmers are still using. Find your hotel in the Alpujarra now! 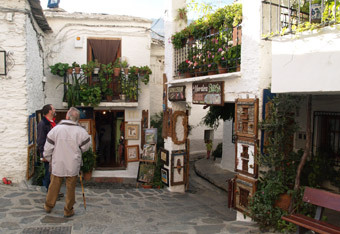 The old centre of Capileira has been declared a Historic and Artistic Beauty Spot and it has been mentioned by the Council of Europe as a model of popular architecture. The visitors of these towns are recommended to get to know the real spirit of the place and the people in these villages. In this manner they can get to know the magic of a unique place, with its steep, twisting streets and its white houses.